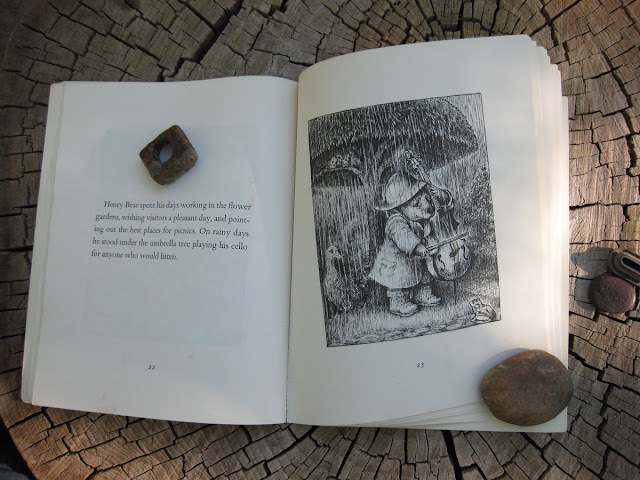 Continuing my October posts in honor of National Book Month, I'm showing two of the kids books that may have made me want to become a Landscape Architect. 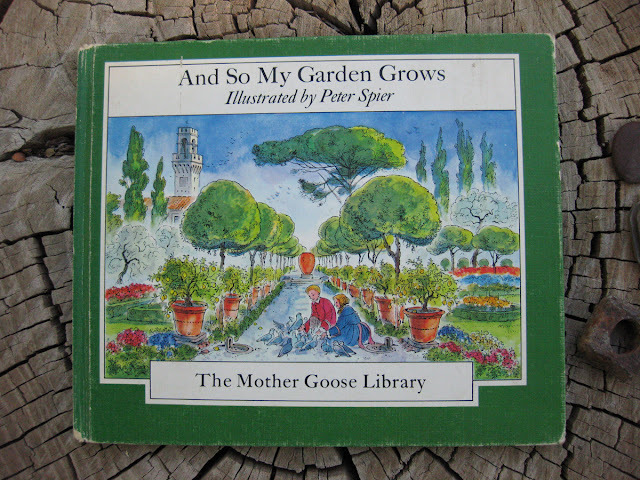 I don't actually know if I believe that books you love as a child influence your later life, but if they do, then this top book by Peter Spier could explain my love of garden design and Italy. To this day its one of my absolute favorites. Oh, and I've made all the photos bigger than usual for all the book posts, so if you click on them they should open a bigger version, in case you want to read something. All of the illustrations for this book were drawn on location, and illustrate famous Italian gardens and towns. 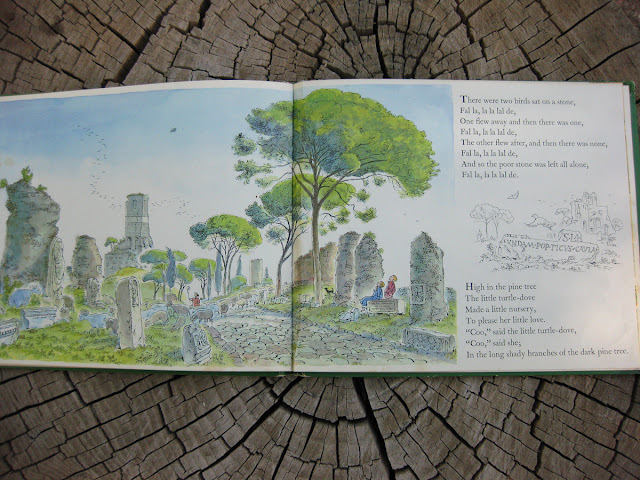 This first illustration, from the beginning of the book was drawn in a poor Florentine suburb, but other famous Italian sites such as San Gimignano, Villa I Tatti, Villa Gamberaia, and the Appian Way (bottom pic) are also pictured and accompany old Mother Goose rhymes that fit the illustrations. And So My Garden Grows, Illustrated by Peter Spier, ©1969 The Mother Goose Library, Doubleday & Company, Inc.; Garden City, New York. I also loved this book, about a bear who looks after his fathers park while his father takes off for an adventure in a hot air balloon. The book starts out with two aerial view maps of Henry's town and the park. Even at an early age I think maps excited my imagination because they allowed me to put myself in that place. 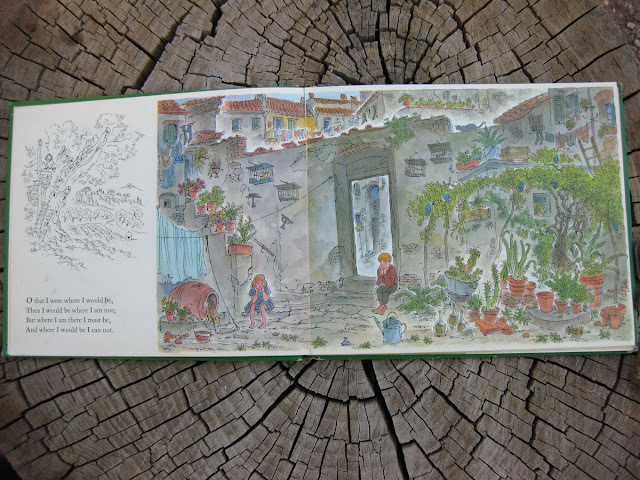 Who wouldn't want to spend their days tending flower gardens, showing people the best picnic spots, and playing their cello under an umbrella tree? 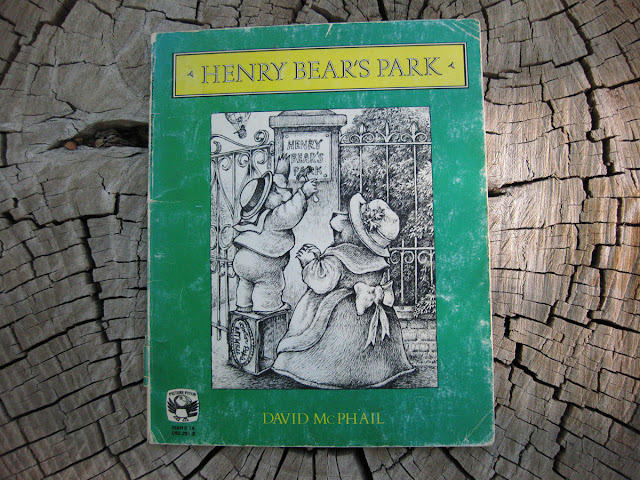 Henry Bear's Park, © 1978, Puffin Books; New Jersey. These are fantastic! I can totally see you as a kid with these.